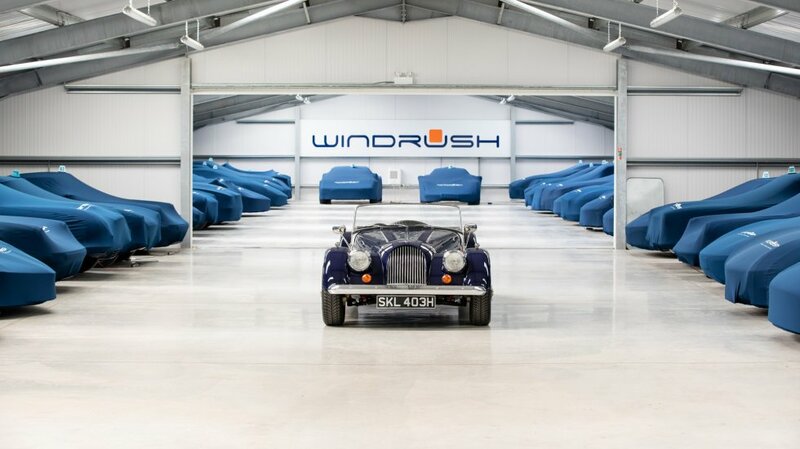 Whether looking for a car storage solution for a couple of months or looking for something more permanent, or just looking for a company offering expert classic car storage for your pride and joy, we have written this article to help you choose the right car storage facility to suit your needs. Two basic considerations need to be contemplated when looking to store your car. Are you looking for Indoor or Outdoor car storage? Storing your vehicle outdoors will undoubtedly be less expensive than indoor storage. Your vehicle will be in the open, exposed to nature’s elements, which if left unchecked could lead to paint fade from the sun’s UV rays, mouldy Interiors, bodywork to rust and mechanical components to seize – not things any car owner would like to happen. Storing your vehicle indoors is usually kinder to a vehicle than outdoors. An indoor, dehumidified facility will provide the ideal climate to preserve and protect your pride and joy, and is available for short term or long term car storage. However there are several more considerations now to consider. There are specialist companies out there who are offering car storage. As with any business, the quality of service you and your vehicle are likely to receive will vary widely. It therefore pays to do your research and shop around. There may be different aspects that appeal to you rather than cost and distance a particular company is from you. Starting the search for a car storage company. Word of mouth: Ask around, you may have friends who have used a similar service or local automotive specialists who can recommend a reputable company. Motoring magazines: These often contain a number of specialist companies, who you will need to call for more information. Internet search engines: Websites will contain more information than magazine advertisements and should describe in detail their services, pricing and photographs of what the storage environment is like. Once you have narrowed the search to a selection of car storage companies there are several factors that will influence your decision. Consider each of these carefully. Ask what the storage rate is. There may be different levels of storage available, and options for short term and long term car storage, and maybe something extra special from classic car storage. It should be clear what is included, what is not and what additional services are offered. Washing your vehicle prior to storage and connecting to battery conditioners are important, but could come as a surprise when not included in the price. How busy are they? Generally car storage companies work with a small team of staff and rely on potential and existing clients to make appointments. This allows them to organise their time and yours. This will, however, also mean that they may not be able to see you right away. A good storage company should make the effort to fit you in within a few days notice. Remember, if they cannot see you right away it is probably because they are occupied with existing clients – proof that other people believe in their service. Is car storage their full time profession, a part time business or a sideline business? Perhaps this is the best indicator of quality of service. Ask if anyone connected with the business has a car of their own in storage. This will generally mean they have an enthusiasm for you and your vehicle and will not have taken short cuts when designing the facility or service.